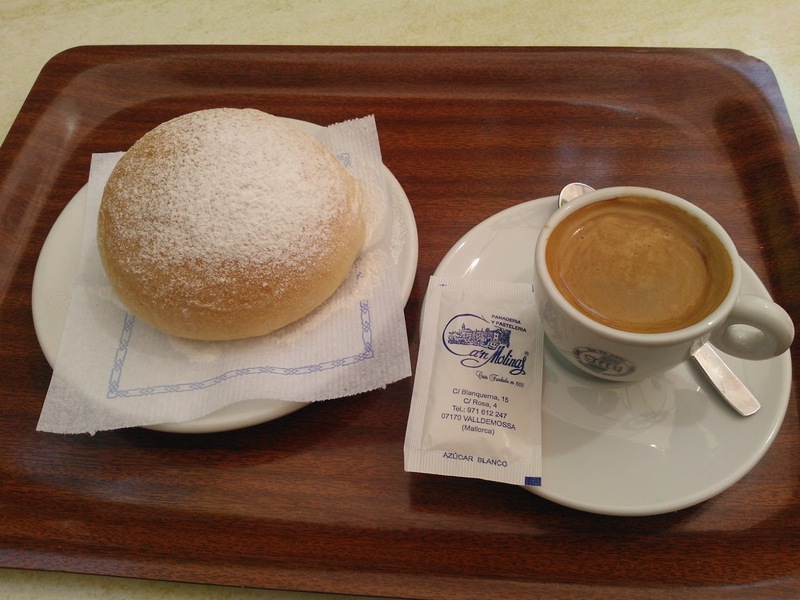 Coca de patata is a delicious soft potato bun, a typical sweet of Mallorca. It is considered that the best coca de patata are produced in Valldemosa, a village on the west side of the island of Mallorca. These sweet buns are made of sweet potato and dusted with sugar powder. Mashed potatoes, eggs, sugar, oil or cooking fat are traditional ingredients for these round buns but there are also other variations. This dessert is usually accompanied with hot chocolate. 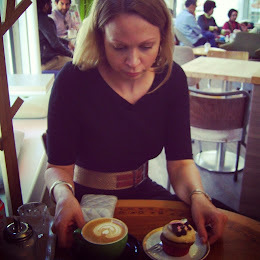 I tasted a coca de patata with a cortado at the garden terrace of Ca’n Molinas bakery and café in Valldemossa. 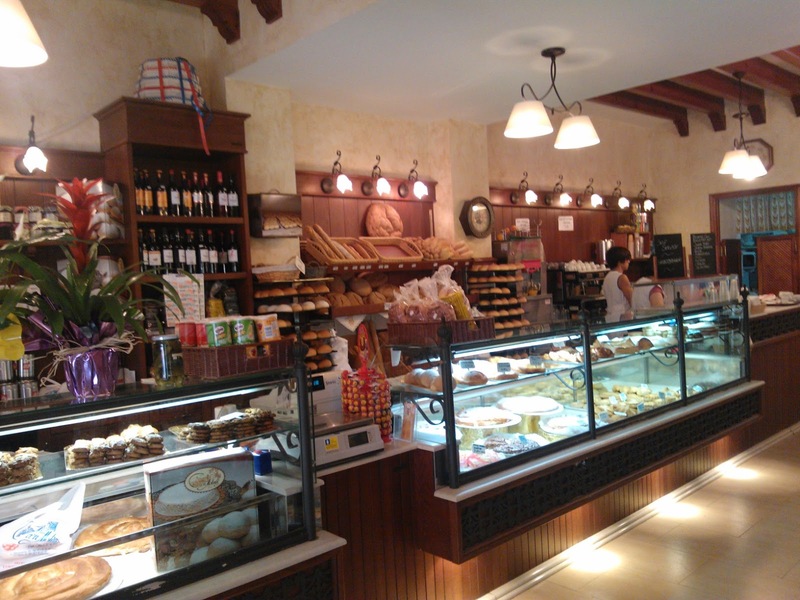 Ca’n Molinas is an old and traditional bakery, founded in 1920 by Miguel Cañellas Nadal and María Estrades. The bakery and café was very charming and the coca de patata was silky soft and tasted delicious. In addition to those sweet buns, Valldemossa is famous for the Charterhouse of Valldemossa built at the beginning of the 14th century. The Valldemossa Charterhouse is a former Carthusian monastery. Two famous visitors of the monastry were composer Frédéric Chopin and French writer George Sand (who wrote a notable account of A Winter in Majorca, describing their visit and praising the island's natural beauty) who spent their winter in 1838 and 1839 in Valldemossa. 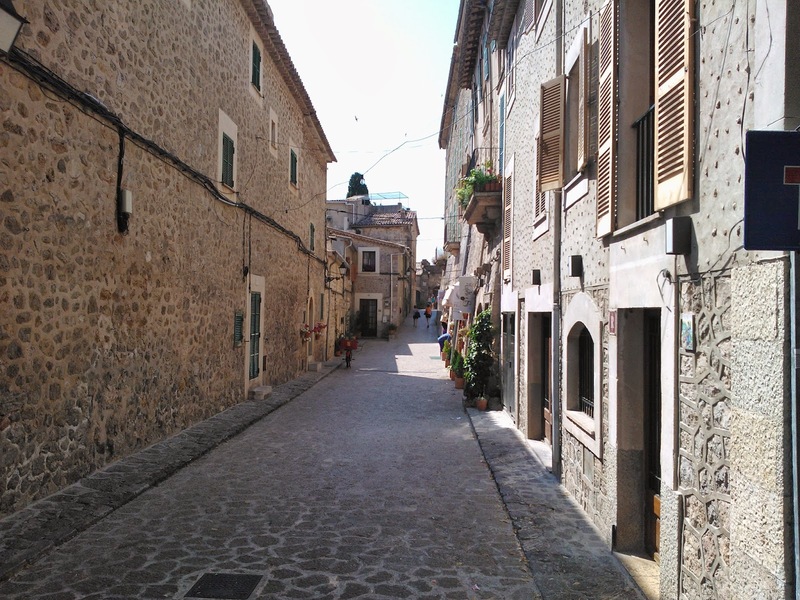 Valldemossa and its surroundings is also loved by many today’s celebrities - Michael Douglas, Catherine Zeta-Jones, Eva Longoria and Claudia Schiffer are told to spend their vacations in Valldemossa and its surroundings. Michael Douglas has even sponsored a cultural centre in Valldemossa. Valldemossa is only about a half an hour by car from Palma, in the middle of the valley of Sierra de Tratamunta, 400 kilometres above sea level. Part of the village goes up into the mountain slope, creating steep streets and beautiful natural miradors. For me the best in Valldemossa were those cocas de patata and the spectacular scenery in the area. 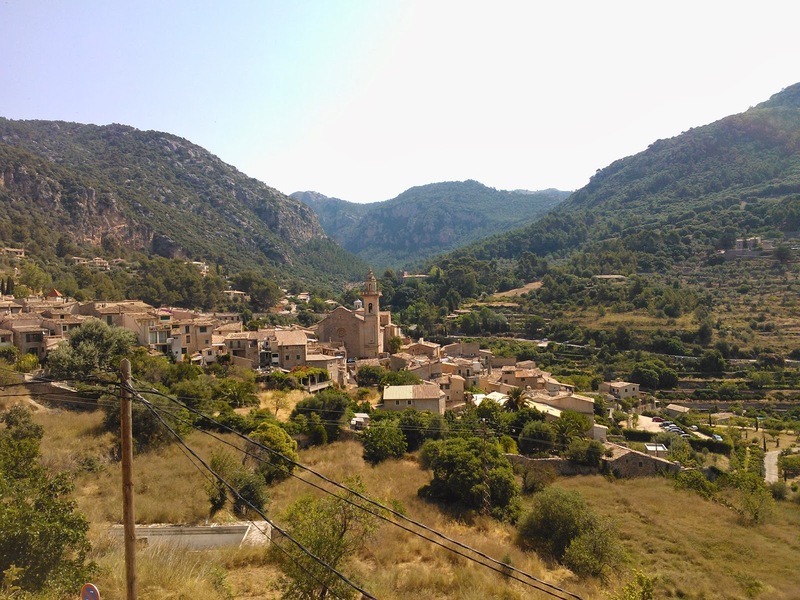 I took a local bus from the bus station of Palma and after stopping in Valdemossa continued to the villages of Deià and Sóller located on the same side of the island. The mountains of this area dive into the ocean and the road between the villages is like serpentine. 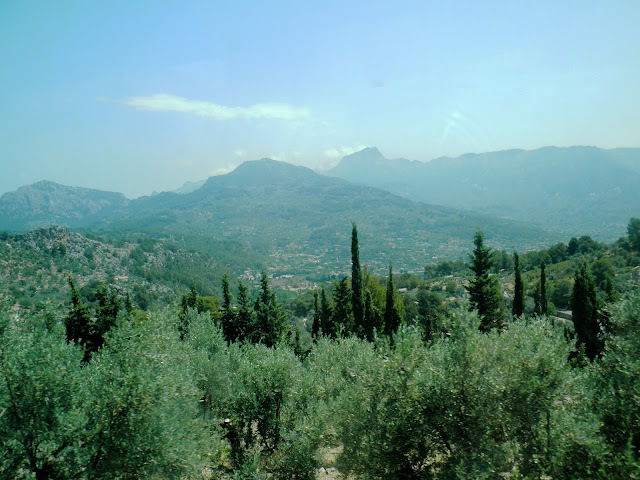 Olive and almond trees grow along the route with breath taking views to the Mediterranean Sea.